You may or may not know this, but for some, today is a holiday of sorts. April 20th is celebrated annually; 420 is a term coined in northern California, 1971 by five high school friends that called themselves The Waldos. They got wind that a buddy could no longer tend his pot plants near a local Coast Guard station. The Waldos, with map in hand, decided to go find some free weed. They agreed to meet after practice outside of school at 4:20 pm to head out on their mission. The first trip was unsuccessful, so they met again the next day . . . and the next . . . and the next. Same time, same place. They would pass each other in the halls and say “4:20” as a reminder to meet up. Although they never found the coveted patch, it became their code word for hanging out and smoking pot. Thanks to the northern Cali location, the vibe of the times, the marijuana counter- culture, and the Grateful Dead, the code made its way from Marin, CA to becoming synonymous with pot smoking and is celebrated on 4/20 at 4:20. Shoot, the California Medicinal Marijuana Program Act that was passed is California Senate Bill 420! You are probably thinking, “Is Poppy high? Why in the hell is she writing about weed on TMR?” My blog today is not about recreational marijuana use. I’m not writing about a bunch of crunchy stoners sitting around listening to Bob Marley, doing bong hits and eating Cheetos today at twenty minutes past four (the typical marijuana user stereotype — so false, by the way). Today, I want to talk about Medical Marijuana and its use in treating children with autism. I can hear the sound of jaws hitting the floor right now. Before you freak out, just please keep reading . . .
For the record, I do not use cannabis with my boys. It is illegal in my state. We do not have access to clean, organically grown, quality medical-grade strains. And what a shame that is. I feel my state, like so many others, is in the Dark Ages when it comes to using cannabis as medicine. Currently 16 states and Washington, DC have legalized medical marijuana, and 12 more states have pending legislation (editor’s note: remember this was back in 2012). People are seeing that this humble little horticultural gem has some real, serious healing properties. These people are calling for action from their local government to fight for the right and the freedom of choice in personal health care, to use marijuana as medicine legally, and they are winning. I’ll never understand how it is that a plant has become so vilified in our society as this evil gateway drug. The over-the-counter medicines and pharma crap we have pushed down our throats daily are far more dangerous than any bud could ever be. It is effective in increasing appetite, reducing nausea, decreasing anxiety and hyperactivity, and dramatically reducing seizure activity. I have a friend in the Pacific Northwest who has MS. When she was first diagnosed, the doctor asked her what she was doing as far as lifestyle. She told him she smoked pot regularly. This doctor advised her to keep smoking. She had so many lesions on her brain he said she should have been in a wheelchair. She was (and still is!) far from that. This was 12 years ago. She will swear on a stack of Bibles that the weed is helping her manage such a potentially debilitating disease and has increased the quality of her life. Then there’s a little family in Montana named the Hydes. Shortly before his second birthday, Cash got very sick. Doctors discovered he had Stage 4 brain cancer. He spent his second birthday in the hospital, being pumped with chemotherapy treatments. Doctors didn’t think he would make it to his third birthday. High-dose chemo was killing the cancer, but also making him so sick, destroying his little body and causing him to suffer unspeakable pain. He went 40 days without eating, vomited constantly, and couldn’t even lift his head from the pillow. Doctors said there was nothing to do for Cash. But his Dad knew better, went against the grain, and secretly put cannabis oil in Cash’s feeding tube while asking doctors to wean him off the anti-nausea cocktail of pharmaceuticals. The effects were immediate. He started eating. He got better. Doctors were amazed. Mike never mentioned the oil. The hospital was in Utah, and it is illegal there. For fear of losing the oil, Mike continued to treat Cash behind the doctors’ backs, slipping drops of oil in Cash daily. Cash got well enough to go home. When they returned to the hospital for re-screening, Cash was cancer free. Although Mike now faces potential legal action, he is vocal about his actions. 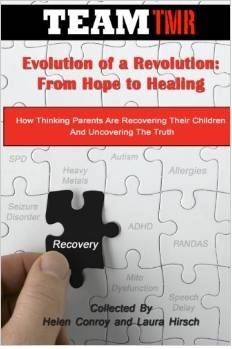 He attributes his son’s recovery to the cannabis oil. His sweet Cash celebrated his third birthday cancer free like kids should, and that is all the proof Mike and his family need. For Cash, the weed is medicine. See more about the Hydes’ story HERE. Like it or not, people are using cannabis as a treatment with their ASD kids and seeing incredible things. Take a boy named Joey and his awesome mom, Mieko, for example. Joey was diagnosed at 18 months with autism. By the time he was nine, autism was destroying Joey. He wouldn’t eat: he was a bag of bones at 46 lbs, had severe self injurious behavior, and was on a daily cocktail of 13 medications that were not helping him and had horrible side effects. Doctors ultimately gave Joey six months to live. Desperate for answers, Mieko came home from the doctor’s office and typed “autism and medical marijuana” in her search bar and was shocked at what she found. 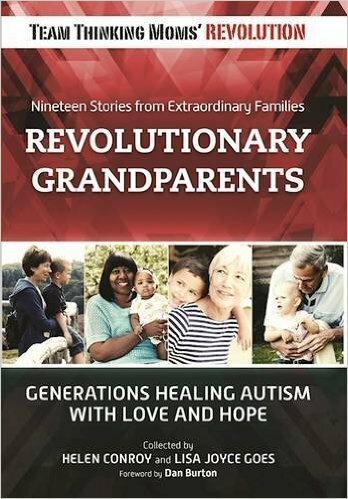 Bernard Rimland, a founding hero in the ASD community, had done work looking at cannabis as a treatment in autism. She stayed up all hours of the night reading work by Rimland as well as Lester Grinspoon. Having faith in Bernie, she took a leap and tried it. The results were amazing. Joey’s communication improved, and he’s gained over 40 lbs. He stopped hurting himself, is healthier and happier and is doing great in school. He even came off all but three of his prescription medications. Mieko has since started The Unconventional Foundation for Autism, a nonprofit organization dedicated to raising awareness and support for families afflicted with autism, raising funds for Cannabis-based medical research and clinical trials, and campaigning for a rescheduling of Cannabis from Schedule 1 narcotic (no accepted medical benefits) to a lower schedule so that the appropriate research may be conducted and all patients have access to this medication without prosecution. Mieko spends her days answering calls and emails from parents in the autism community looking for guidance in helping their children. She is a pioneer vocally paving the way to open acceptance of medicial marijuana as a useful tool in ASD treatment. To see more of Mieko & Joey’s story, click HERE and to read her blog go to joeysmom.blog.com. Joey’s story is like so many others. Cannabis alleviating symptoms associated with autism and other severe disorders. Marijuana is medicine. Fortunately, Joey lives in California and can get clean, organic, medical-grade marijuana, down to the specific strain that works for him without legal complications. His life is better with cannabis. Joey’s mom had the freedom to choose MMJ as an option to treat her child. Everyone should be afforded the same right. We do not have 100% freedom in personal healthcare in America. It’s time to start taking our rights back. Who is to judge? When faced with your child in pain and suffering, giving them a bite of a brownie or chocolate bar to help improve their quality of life and well-being doesn’t seem so scary. Not as scary as Risperdal or any of the other pharma poison they want to pump in our kids (now that insurance will cover!). If you are attending the AutismOne/ Generation Rescue Conference 2012, there is an Autism and Medical Cannabis presentation Friday May 25th at 5:00 pm. Check it out. Open your mind a bit and see what potential this “evil weed” has for kids suffering with autism and related ailments. 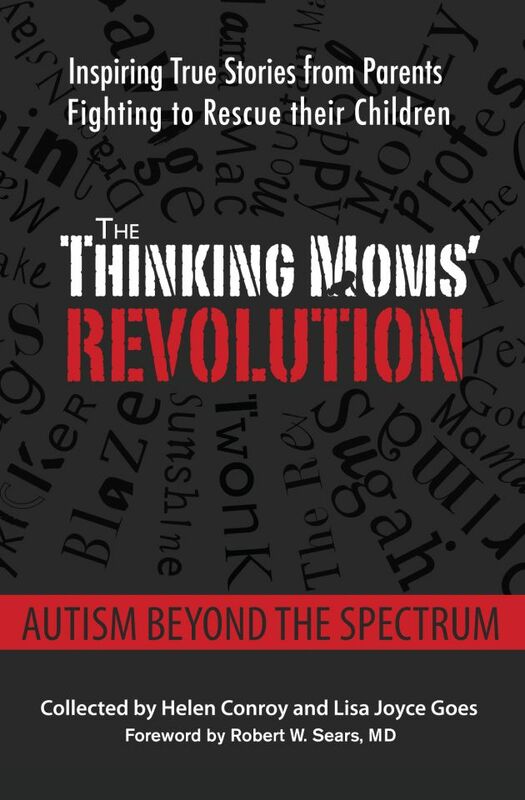 This entry was posted in Autism One 2012, Blogs by Thinking Moms' Revolution, Poppy TMR. Bookmark the permalink. ill* not upland! Damned autocorrect! There are so many potential uses, especially for seizure disorders. Once the THC is removed, the hallucinogenic properties are removed and only the benefits of the cannabinoids remain. There was a lot of research being done in the early 1970s, but once the drug companies started to exert their influence, the research was never able to get strong support. Our founders planted hemp all over when they came to this country because it was so versatile. 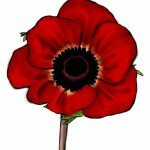 Great blog Poppy! Girl we can talk versatility for hours!! I see a few drinks and some awesome conversation in our future in Chicago. First drink is on me xo LOVE YOU!! It’s the THC that helps with social imagination (i.e. creativity). This one is a tough one to talk about. This is not about passing a doobie back and forth with your kid and getting high. That is abuse/misuse. This is about a plant that has healing potential and medicinal benefits, if used properly. It’s much less scary to me than some of the man-made pharmaceuticals that some of my friends have their kids on, that can potentially alter their brain chemistry for life. As a mom who has seen my child self-injure far too many times, if it were legal, I would consider it if I thought there was a chance it would make my son more comfortable. Because there is nothing more upsetting than seeing my child hurt himself because he is in pain and not being able to do anything about it. Thank you for addressing this, Poppy! Love ya! Yes, it works really well and there’s lots of good hard neuroscience out there to back it up, even if there have been very few trials in actual people. If you google ‘kurz thc autism’ you’ll find a study with one child, if you search my website for ‘Luxembourg’ you’ll find that research is being done into CBD (Cannabidiol) for autism. At least one pharma company in the US has done large trials with THC and autism / aspergers. They haven’t released results – THC on it’s own is not so good and carries risks such as panic or seizures in vulnerable individuals . The only real solution is a whole plant medication, not an individual cannabinoid. One of the things I’ve been finding more and more is that the “whole plant” is virtually always safer than some isolated “active ingredient.” Maybe “nature” is smarter than we think, eh? Oh she’s a smart lady, for sure. Grazing animals (including us) all have an endocannabinoid system and respond in pretty much the same way to phytocannabinoid overdose (i.e. sleep). This is a fantastic piece, Poppy. The MMJ talk was already on my list of the ones I want to see at A1. And thanks for the lil history lesson on 420. I always wondered where that started. I’ll check it out! Thanks so much for reading, Mary!